The overall cost of higher education has been continuously increasing, as is evident by the rise in the textbook prices. Over the past 30-40 years, textbook prices have increased by more than 1000%. Educational publishers, who till now had a steady stream of income compared to non-educational book publishers, due to the recurring need for textbooks every year by students, are now gradually shifting towards digital publishing. This change is the result of overpriced textbooks which drove students towards less expensive sources like eBooks, used textbooks, rental books etc. It seemed only logical and feasible for students to use these alternative options, than pay for heavily priced new textbooks. With digitization making its presence felt everywhere, the shift was inevitable. Big publishing houses like McGraw Hill, Cengage and McMillan realized the value of digital publishing and started leveraging it to provide relevant courseware to learners and also to keep their revenue stream running. However, apart from making content available online, it is also necessary to make it affordable. But how do they compete with resources like MOOCs and OERs that have made high quality course content from respected university professors available for free? It is for this reason that education publishers are now trying out the subscription model. Wikipedia defines the subscription model as a business model in which a customer must pay a recurring price at regular intervals for access to a product or service. We have known about subscription models all along. A lot of media, telecom, eCommerce, software companies use this model, where customers pay for the service or product for a specific time period. And once that time limit is over, they either renew their subscription or cancel it. This allows people to save and manage costs by opting for a subscription package that suits their budget. Now education publishers have also started using this model to increase their user base as well as their revenue. Why Are Educational Publishers Moving Towards Subscription Model? When students started migrating towards used textbooks, rentals, MOOCs and OER due to the high prices of printed textbooks, it affected the revenues of traditional book publishers. So, in order to provide cost-efficient study materials, educational publishers felt an urgent need to start looking for an alternative. And they found a business opportunity in subscription models. 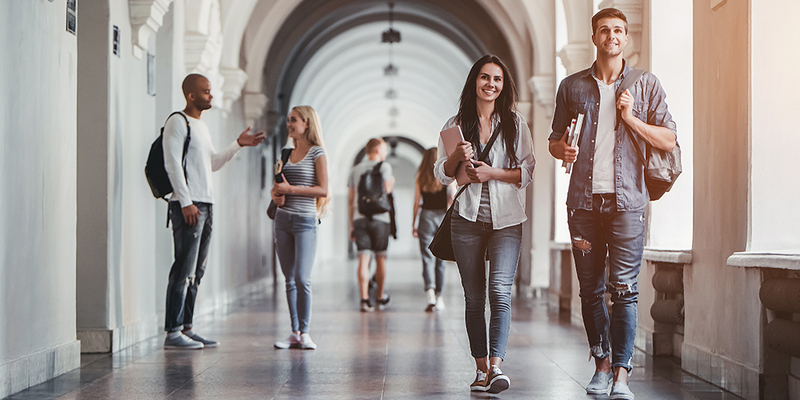 With a staggering number of students enrolling in schools and universities every year, publishers can leverage this business model to increase their sales, keep their earnings steady and provide affordable study materials to students. Cengage launched Cengage Unlimited, a Netflix-style subscription service for students, where they can avail a string of courses in less than half the combined cost of all printed textbooks. It offers unlimited access to digital textbooks and course materials for $119.99 a semester. And it has also launched OpenNow, its own OER with courses starting at $30 per course and is accessible within a Cengage Unlimited subscription. Companies that provide subscription-based services, offer monthly, quarterly, yearly, two-yearly subscriptions. A similar choice can be offered to higher education students. It will help students to manage their finances and also help the publishers enter the digital arena and explore the various segments through which they can improve their revenues. How Can Higher Education Publishers Benefit from a Subscription Model? Going ahead with a subscription-based service will help the education publishers attract new students. Here are some points to consider while opting for a subscription model. Pricing is something that most businesses struggle with. Publishers should bear in mind that the target audience here are higher education students and that they have a limited budget. If publishers keep the prices of the digital content too high, students would prefer going back to buying used textbooks or rental books. So, it is essential to arrive at a reasonable pricing model, one which does not send the publisher into losses again and is also affordable for the higher education students. Customer retention is one of the major concerns of every business that runs online. Especially when the customer has multiple options to choose from. When you introduce a subscription model, you are keeping your content behind a paywall for a specific time period. There must be some incentive for students to come back to you for subscription renewal. Students seek value for money. By offering high quality and relevant content at a lesser cost, you can aim to retain existing subscribers and attract new students to your subscription plans. Just like Cengage did by providing a bundle of courseware at a significantly cheaper price than printed textbooks. The learning platform must be responsive and intuitive. Over the last few years, each publisher has built as well as acquired personalization and adaptive learning platforms and products such as McGraw-Hill’s LearnSmart and ALEKS, Cengage’s MindTap, and Pearson’s REVEL. Providing tailored content will enhance the learning experience, leading students back to your service for more content subscription. Publishers must incorporate content libraries from the international market to increase their digital subscriber list. A lot of companies offer content libraries with repositories of various subjects. Publishers can purchase these libraries to offer additional learning resources to their students. Enhancing the quality of learning materials can get more students to opt for your subscription service. When The New York Times wanted to increase its digital subscription base, it focused on strengthening its user engagement by investing in other lifestyle categories as well as in mainstays such as Cooking and Crossword. It also expanded its multimedia offerings, with a Daily Podcast and more interactive articles. Similarly, educational publishers can include assessments, interactive elements, podcasts, and other relevant external learning resources to increase student engagement. Many of us today pay for Netflix, Amazon Prime, Hulu and YouTube TV simultaneously. And the monthly cost for all 4 services combined is less than 50% of a premium bundle monthly cable bill from 3 years ago. Given how concentrated the higher education publisher market is, we can see a future where a student has subscriptions to 3 major publisher offerings that meet all her content needs during her 4 years in college. We also believe that sooner than later, cost pressures will lead to colleges and instructors making efforts to consolidate their content requirements accordingly. By providing learning materials at a low price through subscription services, publishers can aim to increase their digital sales volumes by getting more students to subscribe for their courseware. While textbooks are not going away completely anytime soon, a digital-centric future awaits the higher education industry. Download this white paper to learn more about how US higher education publishers can make use of a subscription model.